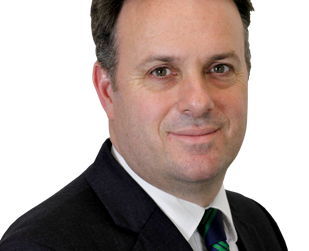 Julian Sturdy MP met with local representatives of the Alzheimer’s Society last week to receive an update on their campaigns in North Yorkshire. Julian heard about the ‘Live well with dementia programme’. This package offers support sessions for people in the early stages of dementia following diagnosis. This programme encourages people to engage sooner with the support which is on offer. Julian has supported the ‘Fix Dementia Care’ campaign in Parliament which highlights the ongoing challenges in the care sector. The Government is scheduled to publish a Green Paper on this area in the near future and Julian will be following this issue very closely. “It was hugely valuable to meet with our local Alzheimer’s Society team to discuss their priorities and ongoing campaigns. Dementia affects nearly everyone, whether it is a close relative or someone we come in to contact with during our daily lives. There are an estimated 4,400 people living with dementia in the Vale of York NHS area and this number will only grow in the future. It is therefore vitally important that a range of support is available to people living with dementia, as well as their families and the wider community. The Alzheimer’s Society is fantastic at raising the profile of dementia care and helping people to live well following their diagnosis. They also do important work educating the wider public about the challenges people with dementia face. It was great to hear about the various projects the Alzheimer’s Society are involved with in our region and I look forward to continuing to work with this charity moving forward”. Further detail is available at: www.alzheimers.org.uk.